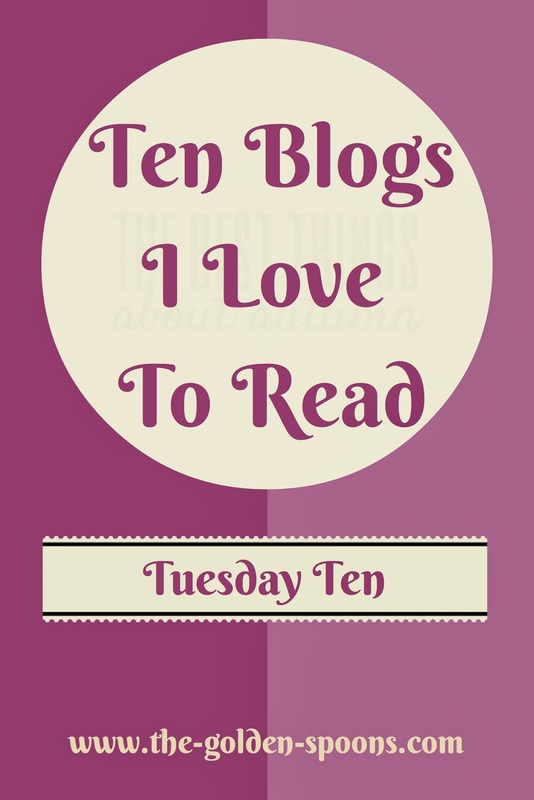 Since Valentine's Day has just passed, Rabia and I thought I would be fun to continue spreading a little love for this week's Tuesday Ten by listing some of the blogs we enjoy! Hopefully, this will be a way for all of us to find some new blogs to follow! The Mother Of All Meltdowns since we are both contributors. I have really enjoyed getting to low her better and partnering up for this linkup has been great. I also admire that she posts every day Monday-Friday- I seriously don't know how she does it! Pink Dryer Lint - Robin is one of my oldest and dearest blogging friends. We have a lot in common including three daughters and psoriasis. Robin's posts are always a short burst of inspiration and positivity. She's also written a book called Then I Became A Mother which is just wonderful! The Mom Cafe - Chris is such beautiful and spiritually gifted person. I "met" her through MOAM as well and I'm so glad I did. Her words always seem to speak right to my soul and she has an uncanny knack for saying just exactly what I need to hear and just exactly the right time. Left Brain Buddha- I honestly don't remember how I met Sarah -perhaps it was through Finish the Sentence Friday? Anyway, I love the way Sarah approaches topics from a very intellectual point of view. Her posts often include research or quotes form books. I usually feel jus t bait smarter after I've read her posts. Although very factual, she still coveys emotion in her writing. Plus, she is one of only a couple blogger friends whom I have actually met in person. I met her at SITS Bloggy Boot Camp in Minneapolis in October 2013 and she is just as lovely in person! 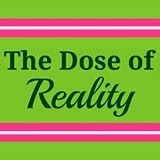 The Dose of Reality girls, Lisa and Ashley, are hilarious. Their "Would You Rather" series keeps readers perplexed and bewildered (in a good way). Their "Pinterest Nightmares" are horribly wonderful and ridiculous all at the same time! Believe it or not, they actually live about 90 minutes down I85 from me. I am determined to join them sometime for one of their "very important blog meetings" at Starbucks! Finding Ninee - I think I found Kristi through Finish The Sentence Friday, too. Her blog is a mix of humor, art (her drawings), and beauty. She writes so eloquently about her son and his atypical, but non-specific special needs. She writes about her hope and dreams for him in a way that is so touching. She started a series called Our Land that has brought light to so many different struggles people face. (I was featured there once!) She also has a great sense of humor that comes through in her writing. Kiss My List - I knew I was going to like Dana's blog the instant I read the title. I'm a list-maker, too! Dana's blog is a mixture of humor and parenting and DIY and more. I love it's eclectic nature. Since I have three daughters, I love when she writes about her relationship with her teenage daughter, too. We are planning to be roomies at BlogU in June, too! Writing, Wishing - I had seen Alison's blog here and there, but then I read this post. I had written a similar post, but was afraid to publish it. I commented on Allison's post and her encouragement helped me work up the nerve to submit my piece for publication on another site. It was accepted and ran on Mamalode back in December 2013. I was so grateful for her kind words that I began following her blog regularly. I'm so glad I did. She writes about everything from motherhood to blogging how-to. Mommy, For Real - I love Stephanie's blog because she is just what she says - real. She writes about motherhood with humor and honesty and doesn't pull any punches. She is also a music teacher and occasionally incorporates her musical talents into her blogging, which I love. Narrowing ,y list to ten was pretty tough. So, I'm cheating and also giving a shout out to two more favorites. Janine is incredible. She posts every day and is a commenting superhero. She also runs a blog design business (J9 Designs). I honestly don't know how she does it all!! Crystal is the fearless leader and managing editor of MOAM. She, too, is amazing. On top of the book and her blog, she also runs a business to help authors promote their self-published books AND has 5 kids ranging in age from infant to adult! Finally, I must add to my list all the bloggers who have linked up with Tuesday Ten, today or in the past. When Rabia and I teamed decided to take our own individual Tuesday ten and combine them into a linkup party, we weren't sure if it would succeed. I have visions of 20+ linkers every time. We're not quite there yet, but we are growing and I sooooooooo appreciate everyone who has supported it by tweeting, sharing, and linking up with us!! You're all the best!! Next Tuesday, February 25, the topic is: Tomorrow is going to be the PERFECT day! List ten things that must happen! Thanks for such kind words, Lisa! I love reading your posts, too, and I am so glad to have met you. Keep on with the awesome! Lisa, omigosh, thank you so much for your sweet words. I am beyond honored. When you messaged me to let me know that my post had touched you and encouraged you to submit your own to Mamalode - that just made my week. I'm so glad they recognized the beauty of your words. What a great list of blogs! A couple are new to me, so I'll have to go read them! I am so tearing up right now. I was having such a cranky moment and I nearly yelled at Des! This turned that right back around. And so many greats on your list. All greats, of course, but I'm so happy to "know" many of them. Wow, Lisa, I am beyond honored! Thank you so much for including me on this list of excellent blogs! I really appreciate it and you're totally on my list too. I love all of the ones you chose. You listed a couple that I'm not as familiar with and I'll most definitely check them out further. Thanks again - that I made this list makes me beyond happy! What a wonderful way to start my morning- thank you Lisa! You are one of my favorites too, and I can't wait to meet you in person! Oh Lisa!!! I am SO HONORED to be a part of your ten!! Seeing the love from you and Rabia this morning has completely made my day!! Actually- reading your beautiful encouragement, is more than making my 'day'- it's giving me a sense of fulfillment that what I am doing it good. Perhaps what I am giving is worth it. I am SO grateful for having friends like you give me that confirmation!!! 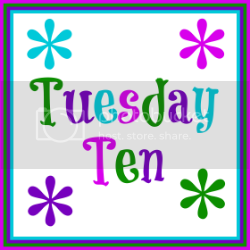 I'm so glad it's Tuesday and time for Tuesday Ten - and that it's about favorite blogs this week. I love your list and see at least 3 blogs that I haven't discovered before and am anxious now to check them out. Thank you! I absolutely LOVE your list!!!! What a great list...I'm definitely going to be checking some of them out for myself. I'm glad we're blog friends too! You are welcome & thank you, too! Hope ou like them as much as I do! Well, I'm glad it made our day better! Your posts often make the day better for others, so you deserve the happy! Well, I'm beyond happy that I "know" so many wonderful bloggers and have the opportunity to read their words and call them friends! Yay! I hope you will enjoy them as much as I do! Awesome! Hope you like them too! I feel like I'm giving a speech at an awards night: "It's an honor even being nominated!" Thanks so much for this shout-out, Lisa. I look forward to checking out everyone else's blogs! Ha! You truly are one of the first ones I found and connected with. Hope you enjoy the others I listed, too. What a fine list of blogs! Most of them I know and read regularly - some are new to me. I have loved reading this link up because I have found a few new gems today for sure. I love your list, Lisa! It was so hard picking just 10 blogs. I can't wait to check out the ones you listed that I haven't seen yet!! Ooh, these are all new to me. It will be fun to check them out!